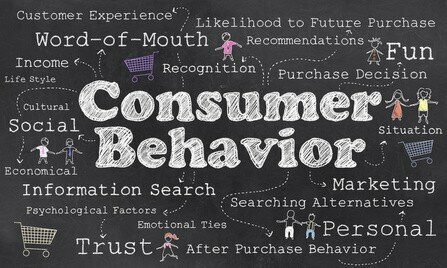 Are marketers making the best of behavioural research? Increasing numbers of marketers claim that behavioural research is fundamental to their work. Indeed, the latest study from MillwardBrown suggests that over two-thirds of marketers believe that understanding the psychology of their customers is their most important tool. The research also found that in spite of this, marketers are really unsure as to whether they are providing the right mix of methods of reaching people. Only 25% of people were confident they had got things right. Looking at the details of this research you can see that marketers put a great deal of effort into online methods. The most popular is a website, but 31% of all marketing activity is still advertising, split between online and offline. It seems as though the marketers are ignoring the information they get from their behavioural studies. Research shows that people do not like adverts. Online advertising is highly attractive for marketers because it is much easier to track and monitor its effect. Therefore marketers can produce reports and graphs showing impact and usage of the advertising – showing their efforts have been working. Except it hasn’t. Over 90% of online advertising is ignored. How much offline advertising is ignored is hard to judge, but probably most of it. Behavioural studies confirm time and time again that advertising is the least liked form of marketing – yet in this latest research, advertising is being used for about one third of all marketing activity. And that’s from people who claim that they are basing their decisions on behavioural studies. Further indication that the behavioural research is being ignored is the proportion of the amount of email marketing compared with website marketing. For several years studies have shown that email marketing is better than web marketing – people respond more favourably to email marketing than to websites. So why are marketers who claim to use behavioural studies only using email marketing 7% of the time compared with 18% of the time for websites? Surely, if they used behavioural research they would be much closer together, perhaps even with email marketing being used more than web marketing? Meanwhile evidence is mounting that social media is actually ineffective for most business in terms of gaining clients or purchases. The proportion of customers who arise via social media is actually very tiny. Yet the marketers are using social media for 13% of their activity – way out of proportion to the financial gains it brings. Sure, social media marketing can help produce lots of activity and wonderful charts that impress bosses, but in terms of the bottom-line the impact for most businesses is negligible. That’s because the behavioural studies show that consumers are using social media in a frame of mind that does not lead to purchasing. So you have to wonder – if marketers are claiming to base their work on behavioural studies, why are they missing out on using some of the most obvious findings?